Cotswold Canals Trust (CCT) Chairman Jack Telling & CEO Ken Burgin recently attended the Water Adds Value Conference hosted by The Canal & River Trust and The Inland Waterways Association. "Ken Burgin gave a talk on our restoration. 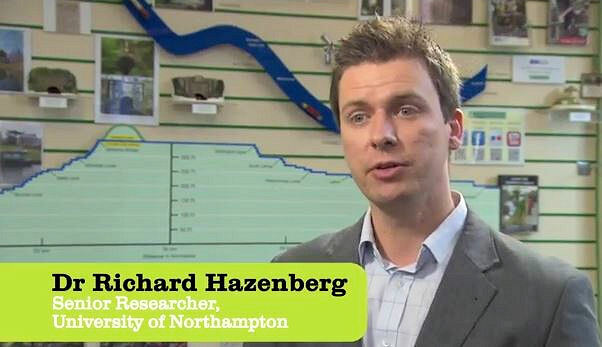 "Perhaps the highlight of the conference was a review of the impacts of waterways restoration by Dr. Richard Hazenburg, Senior Researcher from the University of Northampton." Jack adds… "Dr Hazenburg's message was clear. Generally, funders require more than the restoration of a waterway. "They are seeking the wider social impact which can be summed up in the concept of the 'Triple Bottom Line' i.e. the Social, Economic and Environmental impacts on the wider community. "It is important that performance is evaluated and this requires base line data to be assembled before the project starts." C&RT and IWA will provide support for restoration projects through free of charge training courses on a number of topics and by providing technical advice. A CRT film crew came to Stroud shortly before the conference to capture footage of our restoration. Dave Marshall was on hand to provide Stroud District Council's viewpoint. Water Adds Value – The Impact of the Restoration of our Waterways! Click here or on Dr Hazenburg's photo to view the video. Click here to view a larger version of the photo.